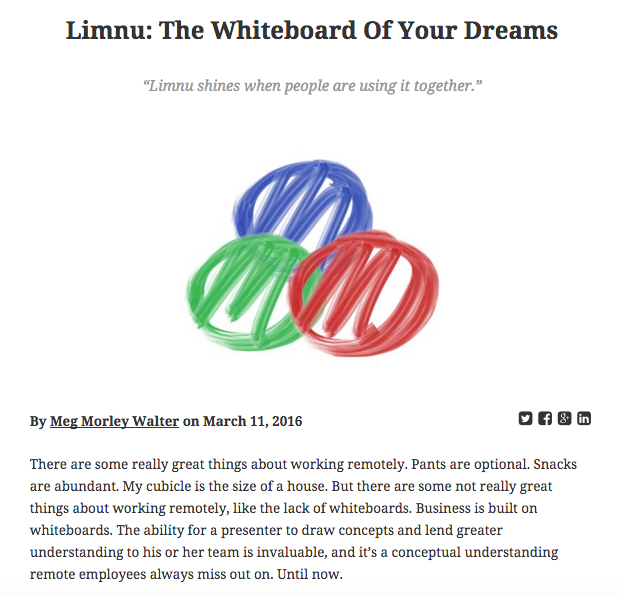 Beehive Startups, a team of journalists covering and building Utah's startup and tech community, discovered the power of Limnu and how "the ability for a presenter to draw concepts and lend greater understanding to his or her team is invaluable," writes Meg Morley Walter. We also enjoyed Meg's comments about working remotely and the abundance of snacks. So true.